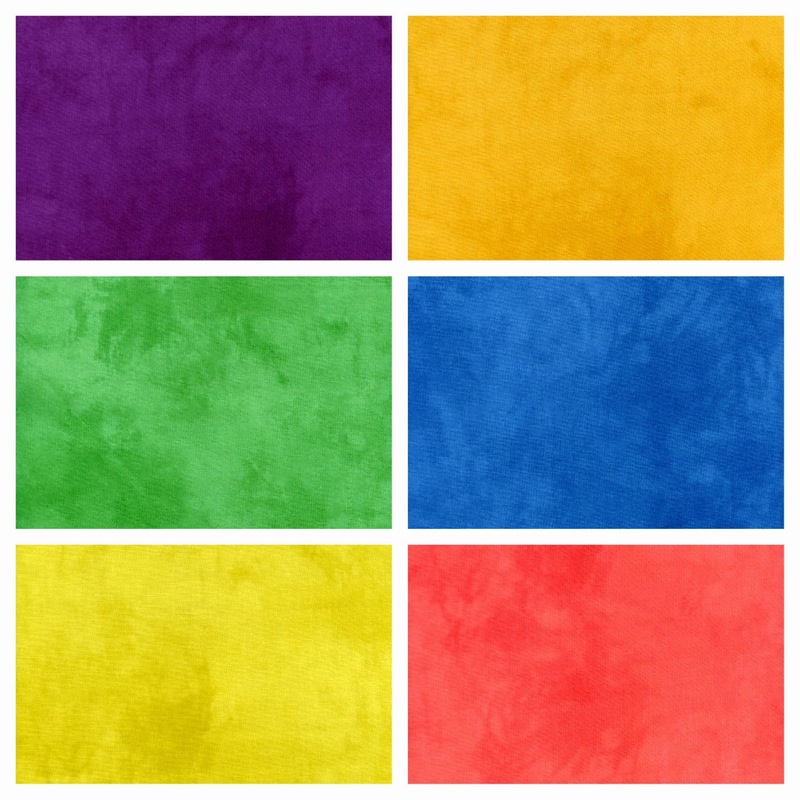 Add Vivid Texture to Your Quilt With Palette Tonal Solids! Swatch sample of a few Palette picks! When you need a dependable solid color that features just a hint of texture, look toward the Palette collection from Windham! 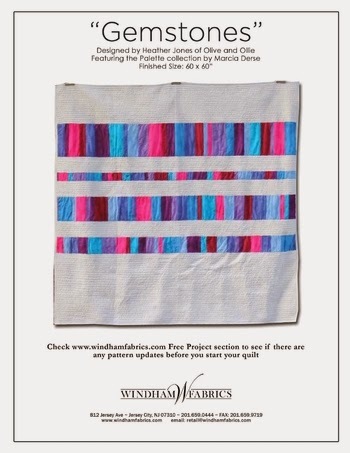 These materials will work beautifully in any quilt that requires a gradual tonal shift, or in cases where a bold, unique color base is required. No matter the reason, no matter the season, Palette features hues and shades that will work for you: from light to dark and vivid to subdued. Palette has been integrated into two beautiful projects to help guide and inspire you! 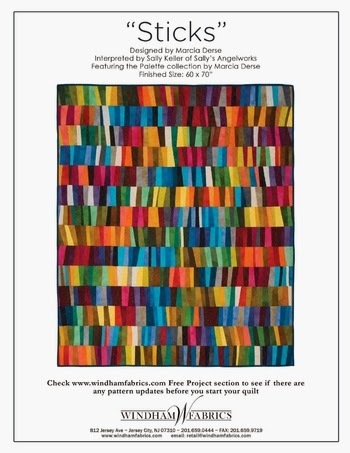 Simply click the two thumbnail images above to be taken directly to a free PDF file that will show you how to create each remarkable--and completely unique--quilt. Adobe Acrobat software is required for proper viewing of each PDF.